We welcome you to this AFRICA INNOVATION NETWORK seminar about Sustainable Design and Manufacturing in Africa, which we facilitate in cooperation with Scandinavian Sustainable. Under the heading “Sustainable Design and Manufacturing in Africa” our seminar will focus on how to setup sustainable manufacturing of design and clothing in Africa. We will furthermore elaborate on how to establish partnerships in the fashion and design industry in Africa. QIIM is an African inspired casual clothing line run by Designer Céline Faty who is originally from the French Caribbean. Prior to her fashion career, Céline has been a singer for over 20 years, touring all around the world. While she was touring in the Ivory Coast, West Africa, she felt inexplicably attracted to the amazing colors of the prints that the local women were proudly wearing and she bought several of them, just for the beauty of them. The timing was perfect for her, as she was ready for a retraining in her professional career. As a result, in 2011, she created QIIM, a unique “African- inspired” clothing line. Through her journey as a textile designer, she met her husband, a Senegalese man, who first fell in love with one of her most popular accessories, “The ethical scarf”. Since then Qiim became a small family business. She is also an author and a motivational speaker and a mother of two children. She decided to settle in Copenhagen 5 years ago with her family to share her love of art. The idea of KENZINA really started in 2003, when Louise Brodersen moved to Dakar in Senegal, West Africa. In fact the most Western point of Africa. She lived there for 5 years, fell in love and had their first daughter Inaya in Senegal. She often visited a local artisan village, where they made everything from handbags, to wooden carvings, silver smiths, beautiful textiles and much much more. 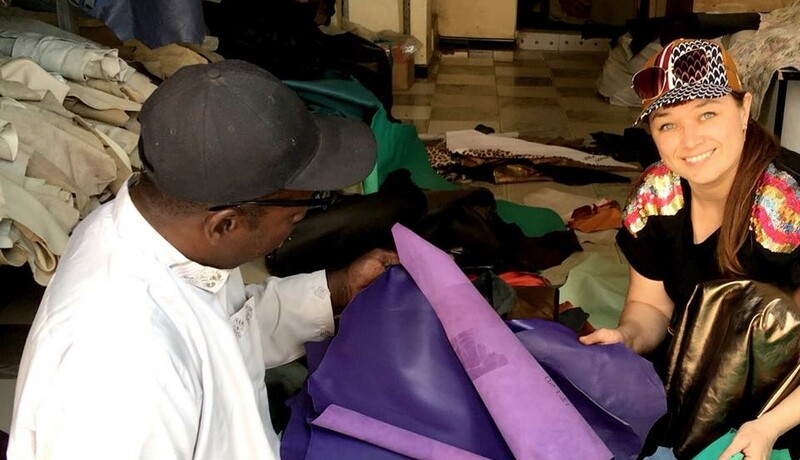 She started working with the locals and ordered bags for herself, her friends and her family. As a team, Louise and Apape make the perfect combination of understanding the local culture and language as well as understanding the business processes and high quality products demanded in Denmark. Brighter Horizons is a Danish non-profit organization, with mission to help the most vulnerable members of society devastated by war, disease and poverty. Our focus is on providing relief to vulnerable children, street girls and the disabled in Sierra Leone. The projects are implemented in Sierra Leone in West Africa, which despite substantial riches in natural resources is one of the poorest countries in the world, partly due to a long civil war, but more recently due to the Ebola epidemic. Amir Hassan is the founder and designer behind the young high-street brand, Twelvepieces, aiming for cool street style looks built upon storytelling and new takes on iconic silhouettes, combined with a minimalistic approach. Twelvepieces is a unique concept, because we only create 12 pieces of 12 styles, each piece numbered 1 to 12. Amir, who was born and raised in Aarhus in Denmark and whose parents came from Egypt to Denmark as immigrants in the early 70’s, uses his family history as a source of inspiration to come up with collections that not only look cool and ultra-fashionable but are making a strong political and social statement at the same time. The first collection was primarily cotton, and soft materials to drape with, with some viscose there too. The next collection is going to be a bit more luxurious. The latest fabric reminds me of the streets of Cairo, so that’s why it’s in this upcoming “Roots” collection. IDA DAKAR was founded in January 2016 by Ida Bergkvist Poulsen. Working closely together with Mamadou Konte, Søren Gregersen and a team of creative people – IDA DAKAR design unique handmade shoes and accessories. Everything is made in West Africa, with fair wages and good working conditions for shoemakers and tailors. Their goal and focus is to create jobs and business in both West Africa and Denmark – and fantastic shoes for the Danish and European market. Mukupa Orijinal is a social sustainable clothing brand, passionate about doing business in an ethical and responsible way. This means by large sourcing fabrics from african suppliers and ensure that the tailors are rewarded honest and fairly.